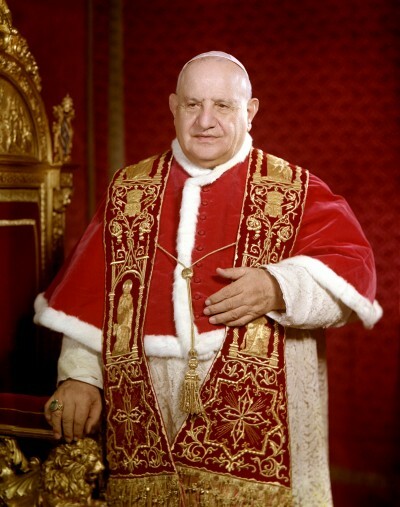 VATICAN CITY (CNS) — Although he served as pope for less than five years, Blessed John XXIII left one of the most lasting legacies in the Catholic Church’s history by convening the Second Vatican Council. 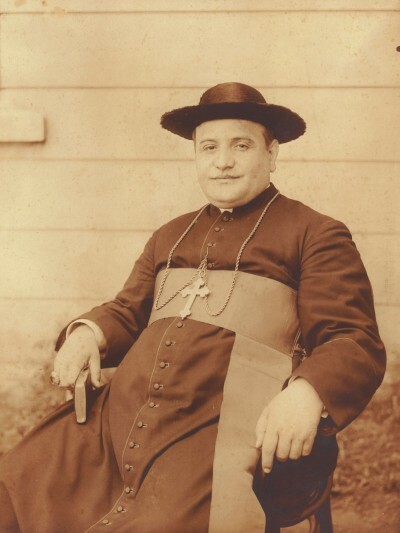 A plump, elderly, smiling Italian of peasant origins, the future pope had an illustrious career as a papal diplomat in Bulgaria, Turkey and postwar France. He became pope amid the dismantling of colonialism, the rise of the Cold War and on the cusp of a technological transformation unlike anything the world had seen since the Industrial Revolution. Citing the Holy Spirit as his source of inspiration, he called the Second Vatican Council to help the church confront the rapid changes and mounting challenges unfolding in the world — and, by inviting non-Catholics to the council, to work toward Christian unity. 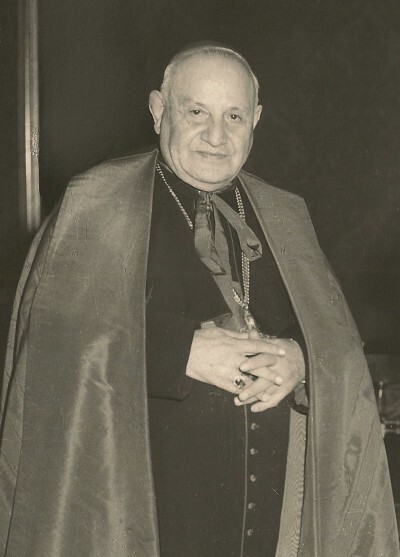 As pope from 1958 to 1963, Blessed John launched an extensive renewal of the church when he convoked the council, which set in motion major reforms with regard to the church and its structure, the liturgy, ecumenism, social communication and Eastern churches. After the initial session’s close in 1962, he set up a committee to direct council activities during the nine-month recess. Subsequent sessions — the final one ended in December 1965 — produced documents on the role of bishops, priestly formation, religious life, Christian education, the laity and interreligious dialogue. He produced a number of historic encyclicals, including “Mater et Magistra” on Christian social doctrine and “Pacem in Terris,” issued in 1963 at the height of the Cold War, on the need for global peace and justice. He established the Pontifical Commission for the Revision of the Code of Canon Law, which oversaw the updating of the general law of the church after the Second Vatican Council, culminating in publication of the new code in 1983. Before he was elected pope, he served as a Vatican diplomat. His work in Bulgaria and Turkey put the future pope in close contact with many Christians who were not in full communion with the Catholic Church and inspired him to dedicate so much effort as pope to try to recover the unity lost over the centuries. It was Blessed John who, as pope in 1960, created the Vatican’s office for promoting Christian unity. With his humility, gentleness and active courage, he reached out like the Good Shepherd to the marginalized and the world, visiting the imprisoned and the sick, and welcoming people from every nation and faith. Born in Sotto il Monte, Italy, in 1881, Angelo Giuseppe Roncalli was one of 13 children in a family of sharecroppers. He entered the minor seminary at the age of 11 and was sent to Rome to study at the age of 19. He was ordained to the priesthood in 1904 and, after several years as secretary to the bishop of Bergamo, he was called to the Vatican. In 1925 he began serving as a Vatican diplomat, first posted to Bulgaria, then to Greece and Turkey and, finally, to France. He was named a cardinal and patriarch of Venice in 1953. After more than five years as patriarch of Venice, then-Cardinal Roncalli was elected pope Oct. 28, 1958. He died of cancer June 3, 1963. 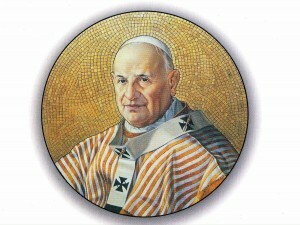 Blessed John was beatified in 2000, by Blessed John Paul II, with whom he will be canonized April 27.